Welcome to Frenchtown Smiles! I am Dr. Frank Mucci. I love Italian food, action movies, and smiles! I was born on a U.S. naval base in North Carolina, but grew up in South East Michigan. I attended the University of Detroit Mercy, and graduated with honors. I enjoy following college football, the Detroit Tigers and Red Wings, cooking, golf, and do it yourself home improvement. I believe that the learning process never stops, and actively participate in study groups and regular continuing education, far beyond the normal yearly requirements. 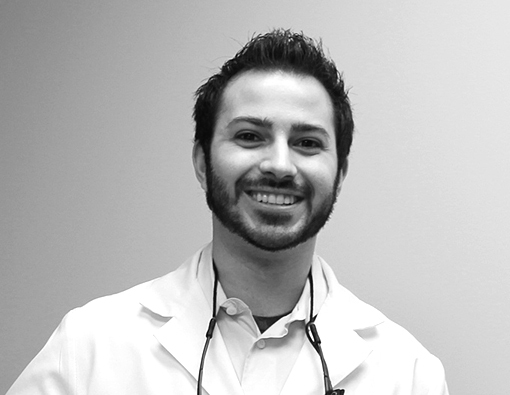 I strive to always better myself to provide the best therapy and experience for my patients. Coming from a family who never had dental insurance, I understand the normal concerns many households have when they are without coverage. That is why my goal is not only to provide the best quality, but also to try and work within every individual budget. I am a member of the community I serve and live in the area so, if you see me at St. Charles, or Kroger, or out mowing my lawn, feel free to stop and say hello! Little known secret: I don’t floss as much as I should, and I went through braces twice because I didn’t wear my retainer! I never used to smile. I was embarrassed for years. Now I am so proud of my teeth I can’t shut my mouth! I have been to other dentists in the past, and they appeared to try and rush through things. It’s nice that Dr. Mucci goes slow, explains things to me, and gives me rests when I need them.